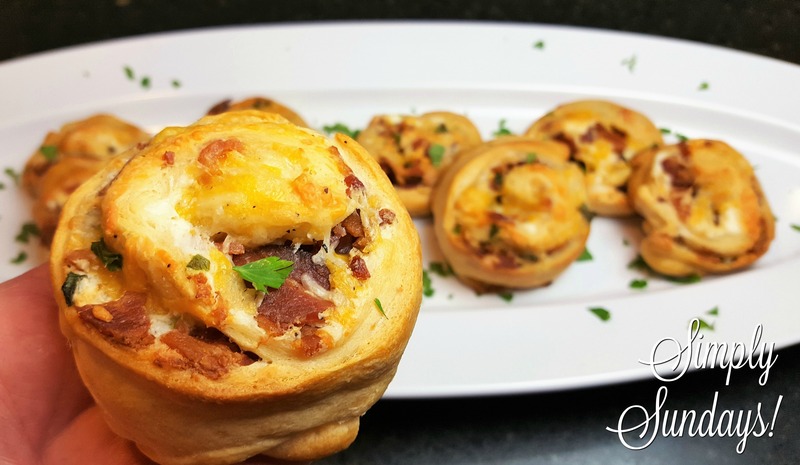 Bacon Cheddar Pinwheels – Simply Sundays! Excuse me?? Bacon AND cheddar?? We have crescent rolls sheets, bacon and cheese… let’s roll ’em up and bake ’em!